Imagine Dragons’ front man Dan Reynolds – yes, he’s straight – tells DNA how his LoveLoud initiative helps LGBT youth through music, festivals and film. 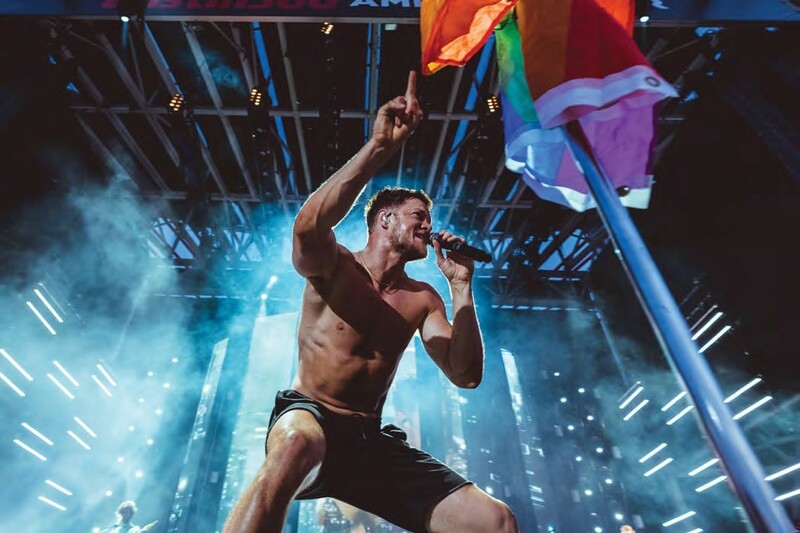 AS THE LEAD singer of one of the biggest American rock bands of the last decade, Dan Reynolds of Imagine Dragons probably isn’t the first person you think of as a straight ally for our community. Yet, that he is, without a doubt. Dan, who grew up in a strict Mormon household, is the heart and soul behind LoveLoud, a live music event that raises money to fight teen suicide and encourage acceptance of LGBT youth in Mormon Bible Belt – Salt Lake City, Utah. This year, Dan teamed up with Tegan Quinn (the gay half of Tegan And Sara) and the event raised over one million dollars for LGBTIQ charities like The Trevor Project, Encircle and The Tegan And Sara Foundation. Not only did concert goers see Imagine Dragons, Zedd, Mike Shinoda (of Linkin Park), Grace VanderWaal, Tyler Glenn (of Neon Trees), Vagabon, AW, and Cameron Esposito – but Utah’s Governor, Gary Herbert, declared July 28 LoveLoud Day in Utah. Plus, the gay man who runs the world’s most successful company, Apple CEO, Tim Cook, popped by as a guest speaker.